World in Motion: "The Man Who Walked Around the World"
"The Man Who Walked Around the World"
I couldn't be more happy to post this. 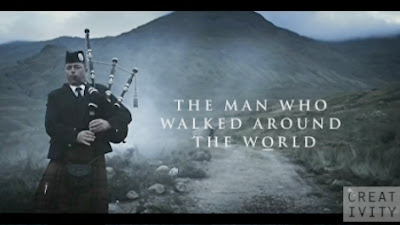 The Johnnie Walker commercial featuring Robert Carlyle is one of my personal favorites. We actually posted this a while back but every YouTube video we had of it kept blocking it. Well I'm happy to say that we posted it again and this video shouldn't get blocked! This particular spot from BBH/London "walked away with the One Show's Best of Show honor at the One Club's 35th Annual event, held at New York's Lincoln Center" (Creativity). Anyways, just check it out! It's awesome.